Energy efficiency sounds good but so far the steps to reach it have been baby steps. 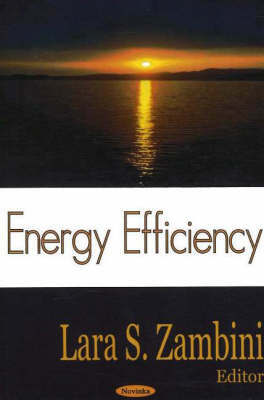 This book deals with commercial and consumer product efficiency standards, new goals for energy efficiency and renewable energy in federal facilities and fleets, the Energy Star products program, reforming hydropower re-licensing, expanding programs for hydrogen fuel cell buses, and setting a renewable fuels standard for increased use of ethanol and bio-diesel. Energy facts are given and policy is discussed.